IonLoop introduces its newest all magnetic bead bracelet…mag / fusion. 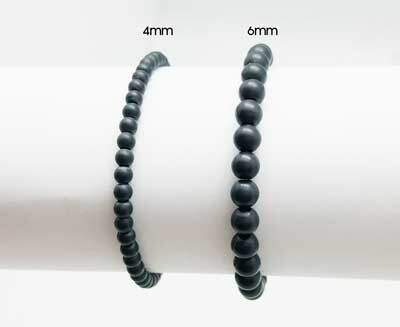 This unique slip-on bracelet is made up of a strand of small round matte finish slate gray magnets; each providing the well-known benefits of magnet therapy for years to come. The 4 mm magnet beads will darken with wear and the Rhodium plated copper logo cube color will soften and develop a copper patina. This bracelet will look even better with age! mag / fusion Pak's are also available with 2 colorful IonThins at $39.00, look for them in the Ultra Pak section of the website. The most advanced magnetic bead bracelets in the market today. Q. How long with the magnets last? A. The magnet therapy power in mag / fusion will last for 5+ years. Q. Can I get the mag / fusion wet? A. Yes this new powerful magnet IonLoop is very durable and may be worn in any environment from the beach to the office. Q. Can anyone wear the mag / fusion? A. No if you are pregnant or have an electronic device such as a pacemaker implanted in your body, you should not wear this bracelet. Q. Can small children wear this bracelet? A. No please keep the mag / fusion away from small children; if a magnet bead is swallowed please immediately consult a physician. Q. Can I wear this magnetic bracelet with a activity tracker? A. Because of the magnetic power of this particular IonLoop bracelet we recommend that if you are wearing an activity tracker the mag / fusion should be worn on the opposite wrist. I love the look of this Magfusion bracelet as I have a small wrist and it fits perfect. I wear it with a leather band and the cord bracelet and they complement each other very nicely.